This seven song e.p, or mini album, of pure country music harks back to the 1940s and 50s when country music was called ‘country and western!’ When done poorly the recordings can often sound bland but when done well, as an ever growing number of albums seem to be in this 21st century, the listener can almost be transported back to those days! The seven songs on this extraordinary recording not only do that, which is more than enough, but they also add an extra haunting ethereal quality to the music, something the old timers from those days would have killed to be able to do. 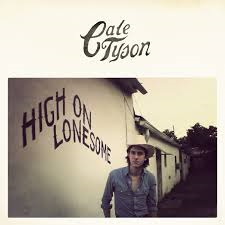 Cale Tyson seems able to imbue every song with that powerful atmosphere of old but with an added haunting modernity that has echoes of Gram Parsons, mixed with a little Hank Williams into a blend that I’m sure in a short time will be recognizable by most as Cale Tyson. The songs are ‘classic hard country’ but with an edge that is almost experimental, particularly on a song such as Long Gone Girl; country music, yes, but with slight variations in the use of the instrumentation that lets the listener know this is an artist who is driven to push himself to the boundaries of country music, developing a sound that appeals to those with a love for ‘edgy’ country music and maybe even the mainstream! That would fulfill the wish of many, me included, that those behind commercial music will start to realize what they have been missing out on and maybe investigate the ‘alt.’ side of country music! Ah, if only! I’ve stopped dreaming now and am fully awake and concentrating, something that anyone purchasing a copy of this recording will be doing. Cale’s warm, soulful vocals could have been manufactured as ‘the classic country voice,’ which when added to his songwriting and production expertise makes you wonder how he could possibly fail, something that I don’t think is ever likely to happen. Whilst he sits very firmly in the ‘classic country’ music genre he differs from most artists in small details such as tweaks to arrangements and a nice edginess that takes away the sappy smoothness that many see fit to imbue their country music with. There is an indefinable quality that ensures the listener knows this is not formulaic factory produced music, but the efforts of a talented musician who goes very much his own way. Something that adds to the quality of this recording is that he has obviously thought long and hard about the instrument separation. Because the arrangements are more sparse than many with generic similarities he was able to pinpoint the space in which each instrument will sit, enhancing the aural magic and ensuring these seven songs have an unusual quality. The disc opens with Honky Tonk Moan, a lovely steel guitar giving a clue to what is to follow before Cale’s warm yodeling vocal comes in on a beauty of a classic country love song. The evocative harmonies allied to the chunky percussion and occasional piano help to highlight the beauty of a song that has a slow easy going tempo and is actually enhanced by the yodel, something that is musically brave for the early 21st century. Not Missin’ You is a real beauty of a lost love song that thanks to the warmth of his vocals and the gorgeous harmonies has the listener feeling sad for the loss but pleased that he no longer misses her. The fiddle break enhances the emotional content as do the steel guitar and chiming electric guitar. Final mention goes to the incredible Long Gone Girl. The drum and guitar intro creates a strange moodiness on this unusual arrangement that serves to enhance the edginess of what Cale is prepared to extend to. It has a strange haunting otherworldly atmosphere with the harmonies and guitar emphasizing that impression. This is very much an album on which every instrument is essential to a sound that never gives the sensation of being over produced. Everything enhances and works with his vocals and just as importantly, vice versa. This is utterly beguiling, stripped down country music of the purest and highest quality that despite that beauty includes a tension and dramatic impact that many strive for but very few attain. Can’t wait for his full length debut album! The album will be released in Britain on 27th October on Clubhouse Records.